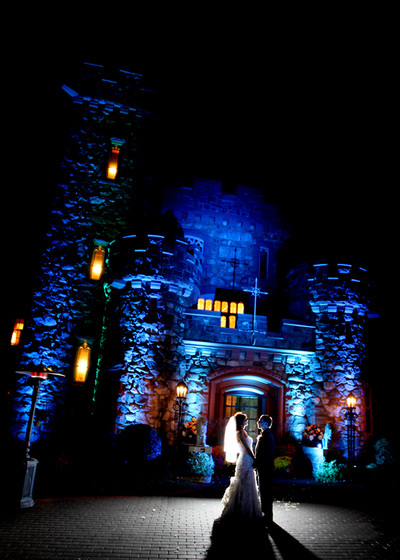 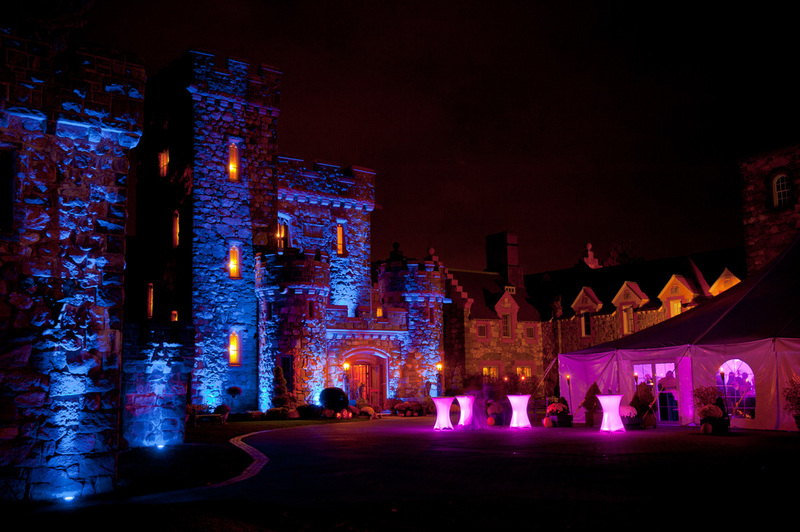 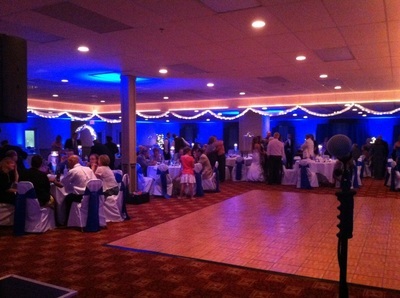 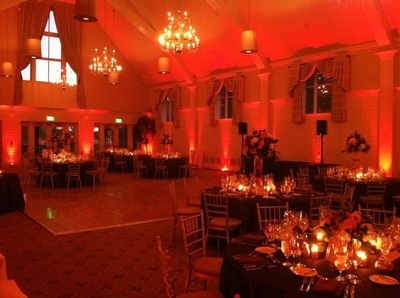 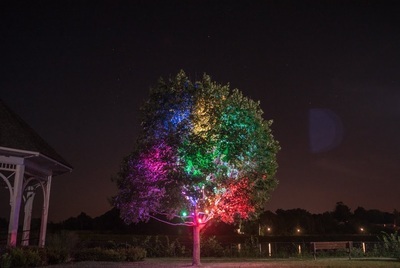 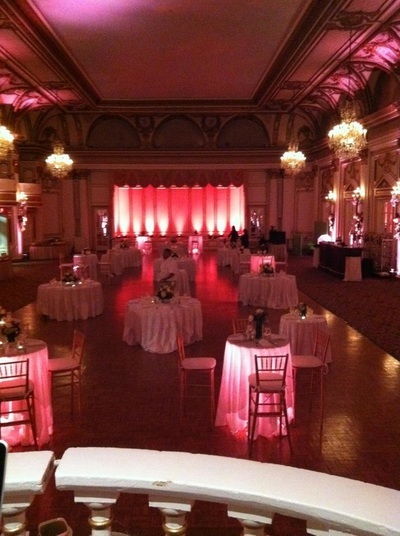 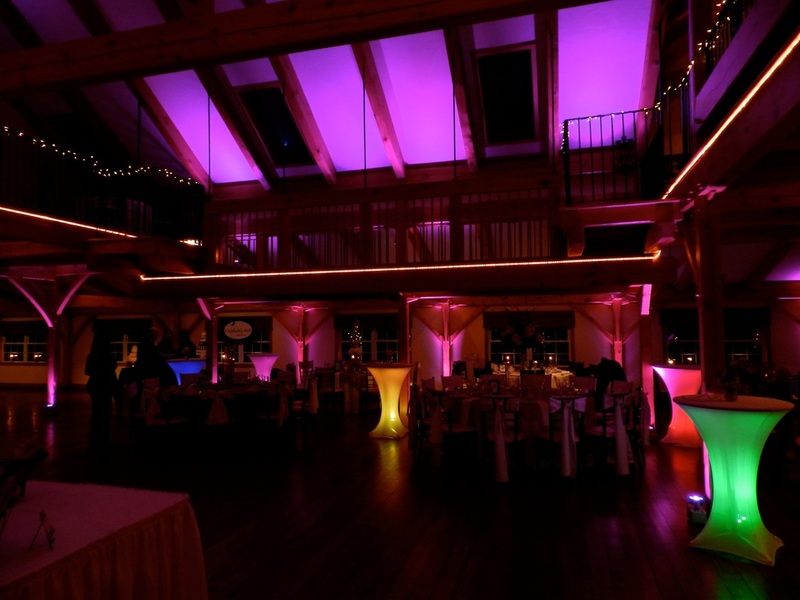 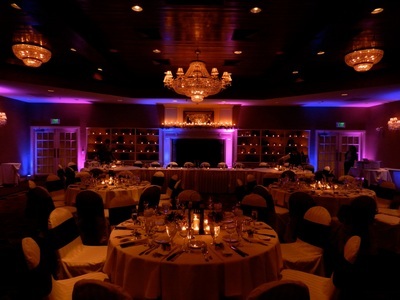 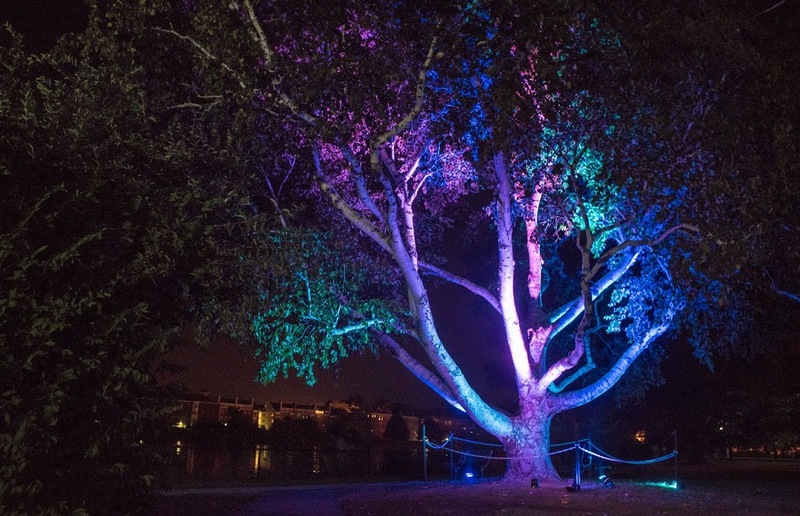 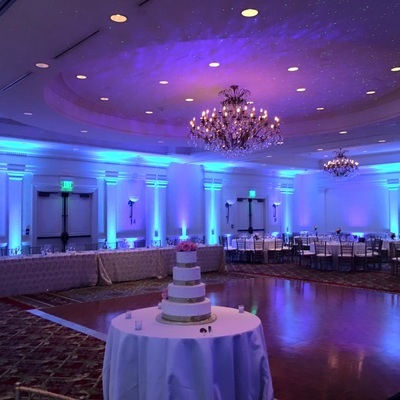 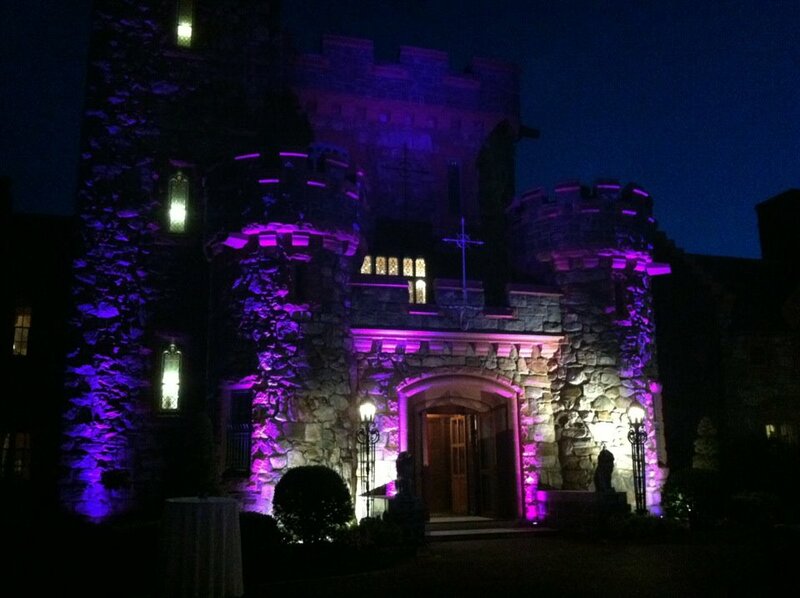 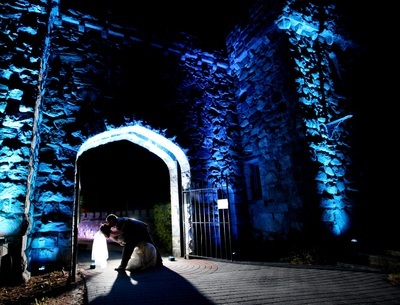 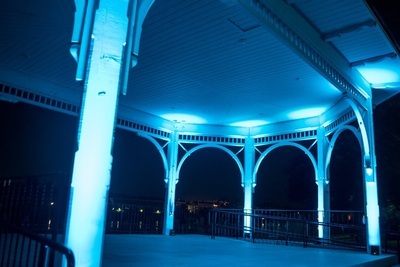 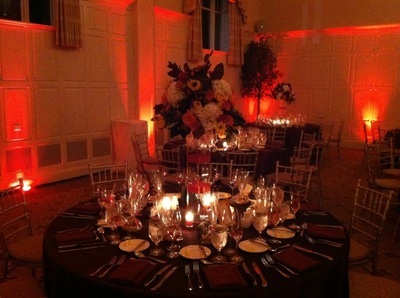 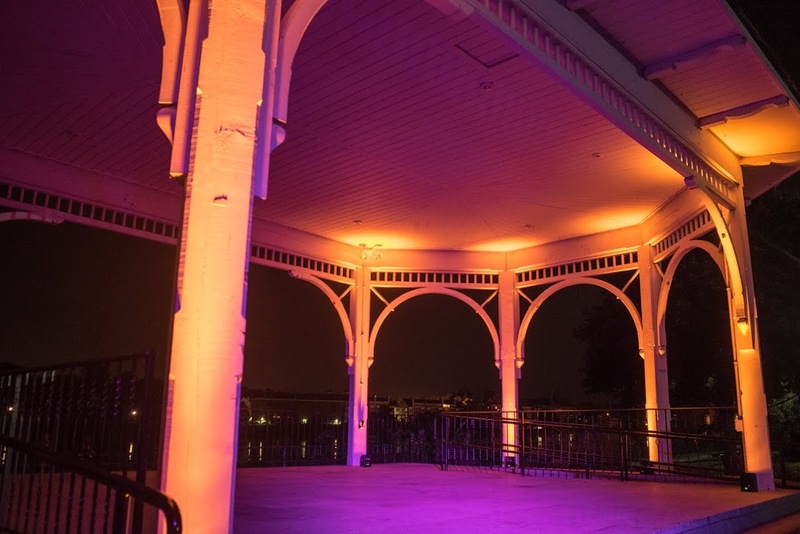 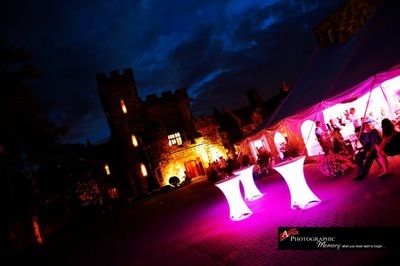 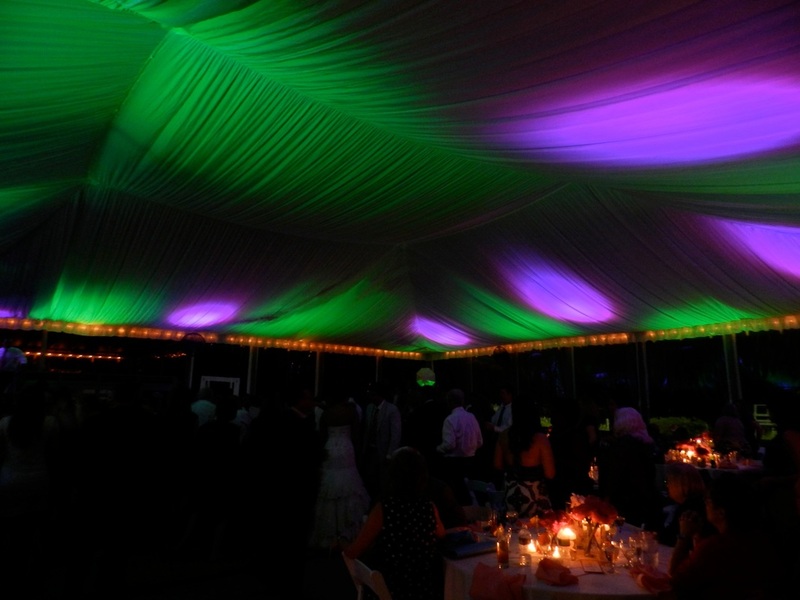 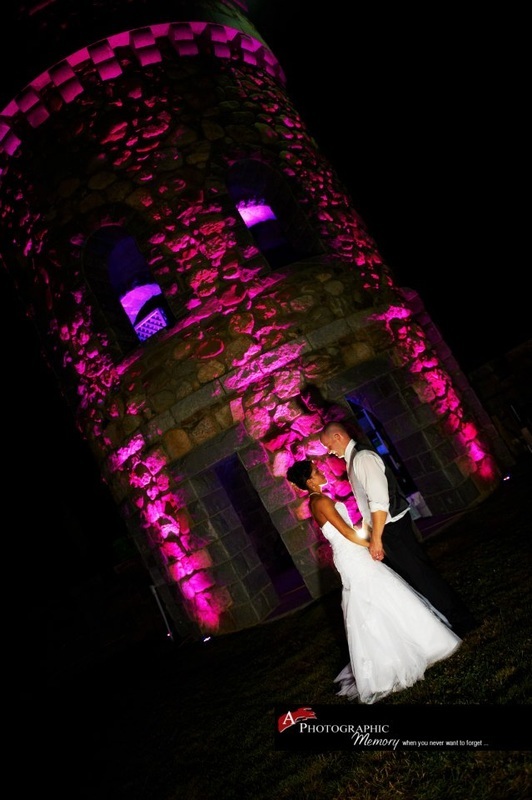 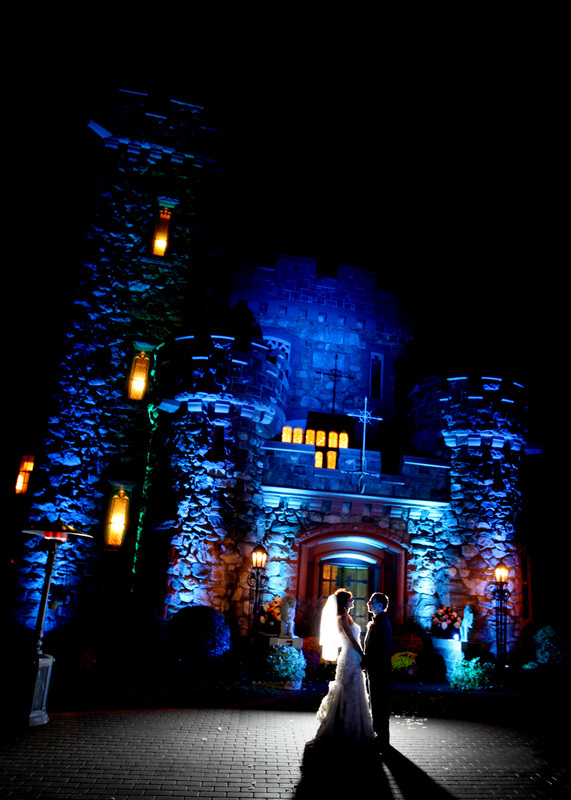 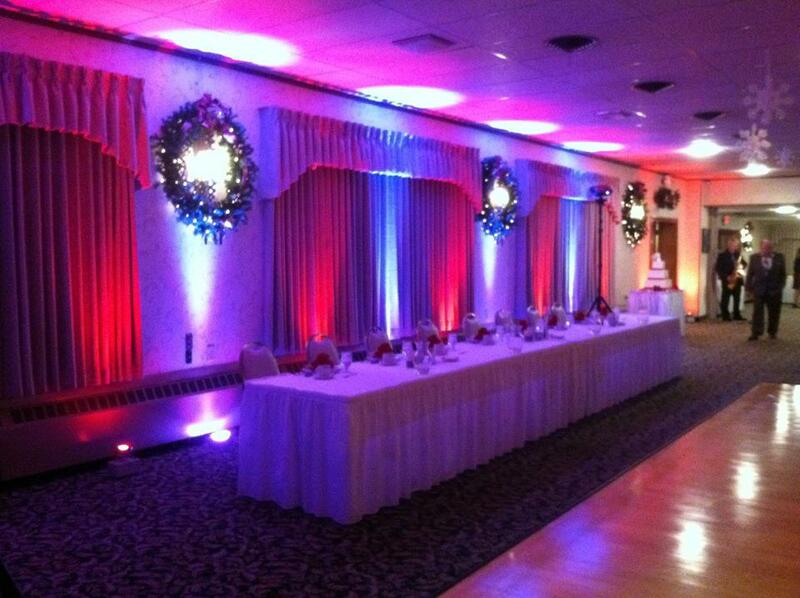 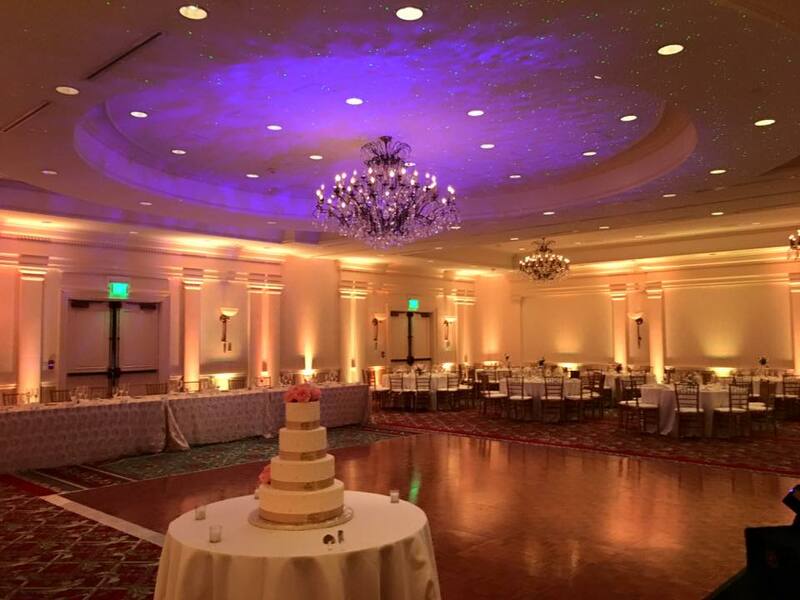 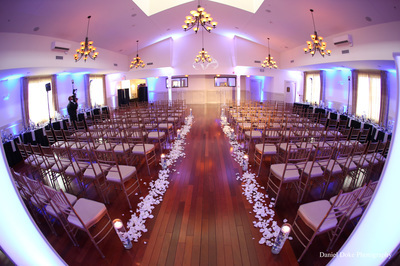 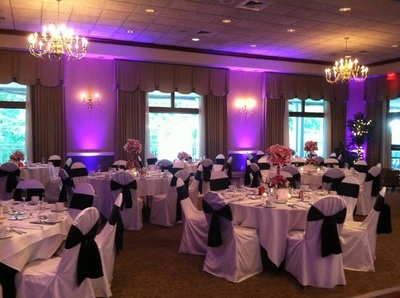 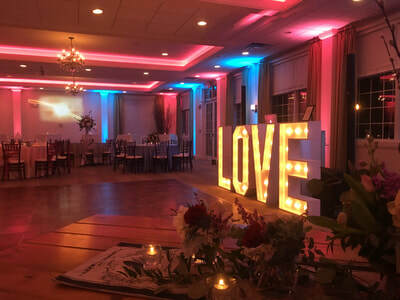 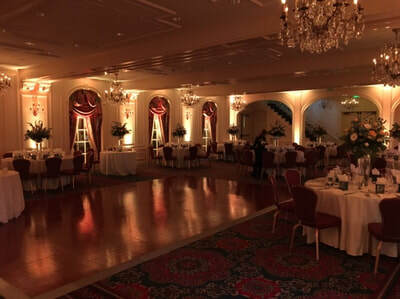 You've chosen the perfect reception site, now personalize it by adding uplighting in your colors. 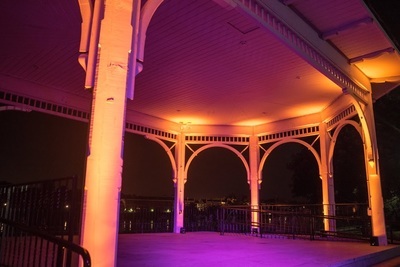 Uplighting Video Final from Get Down Tonight on Vimeo. 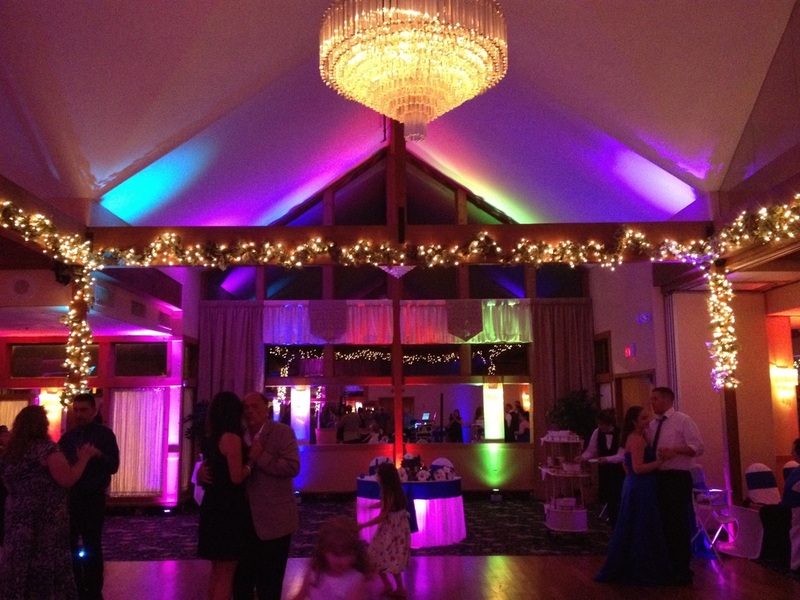 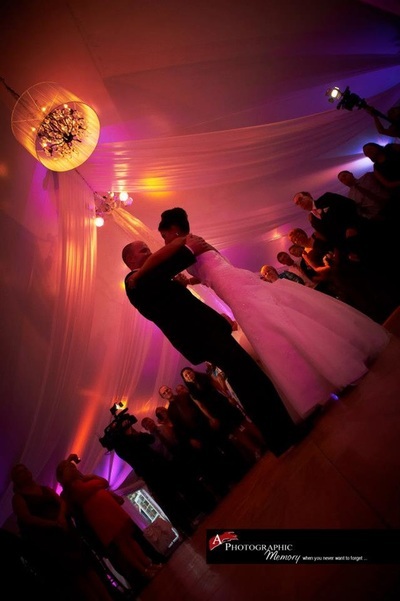 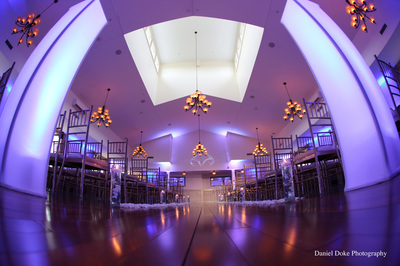 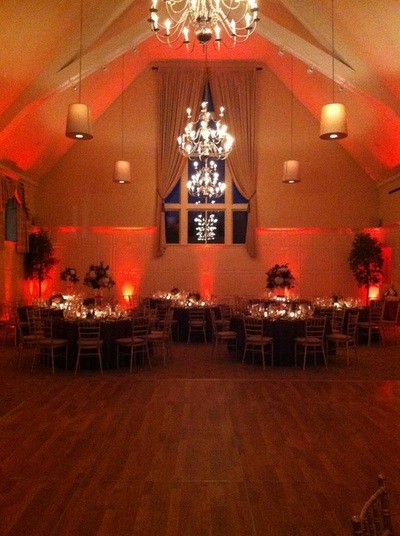 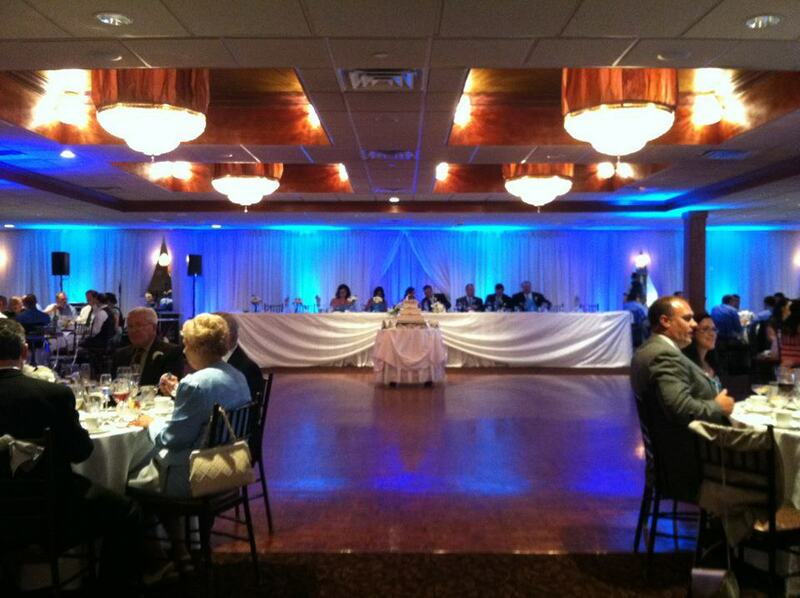 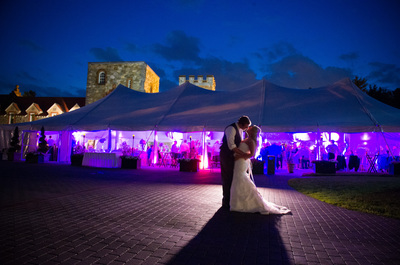 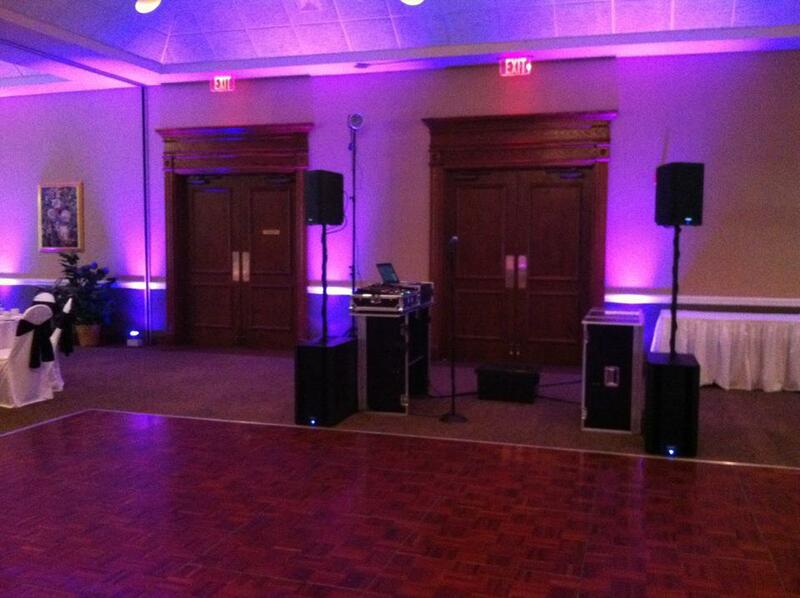 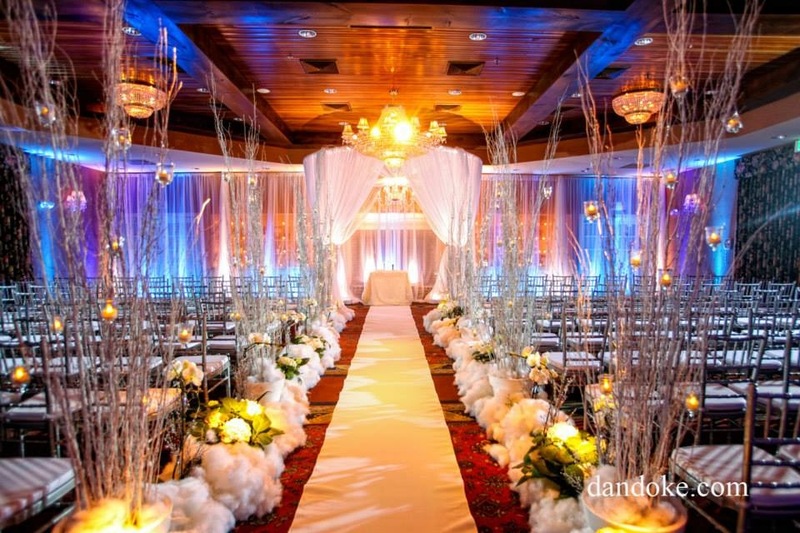 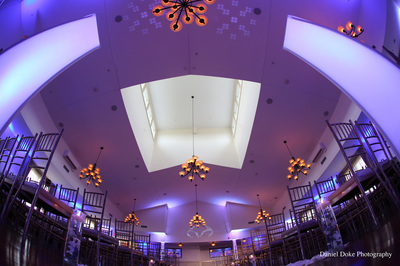 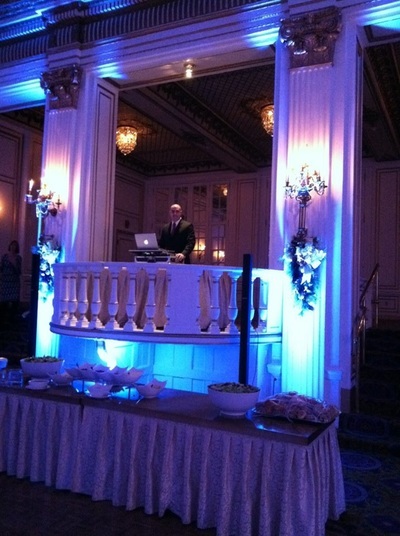 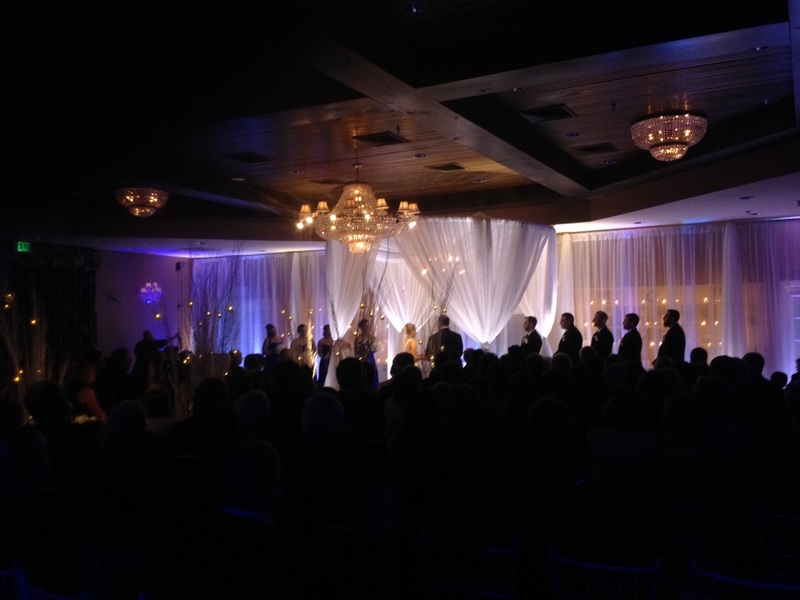 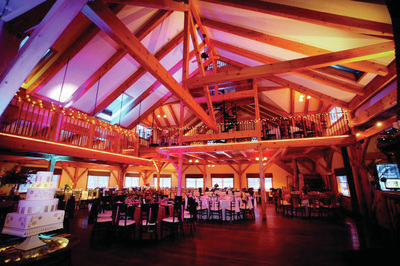 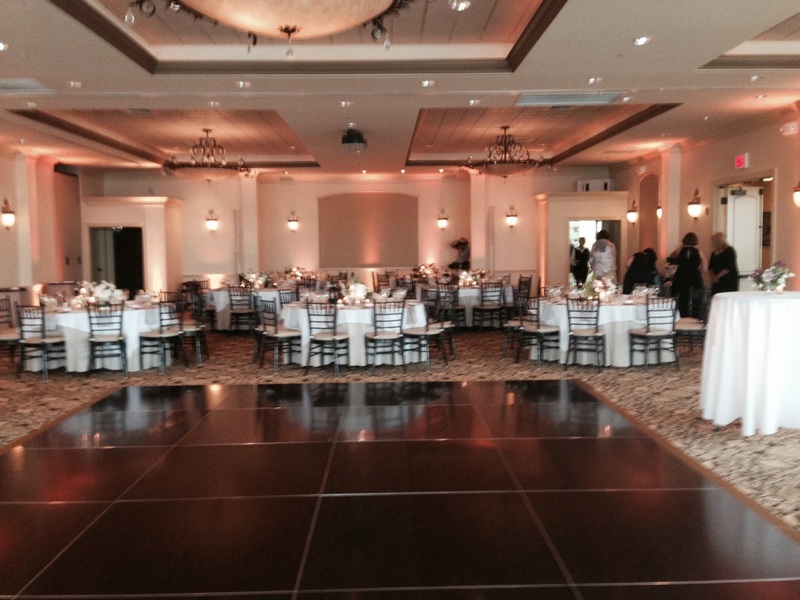 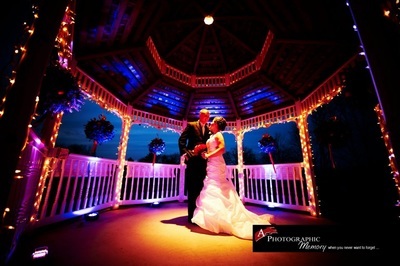 Your DJ will work with you to design a lighting strategy for your wedding. 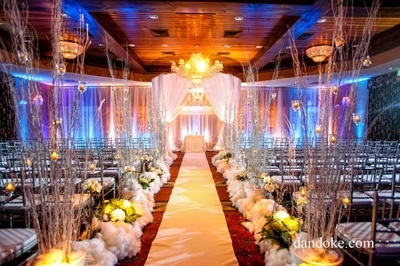 Maybe you want to stick with the colors that match your attendants dresses and flowers throughout your event. 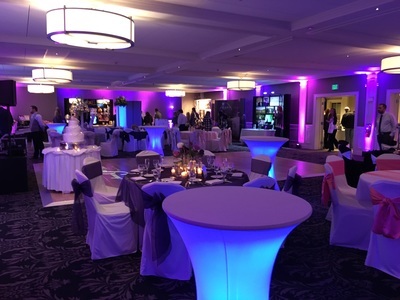 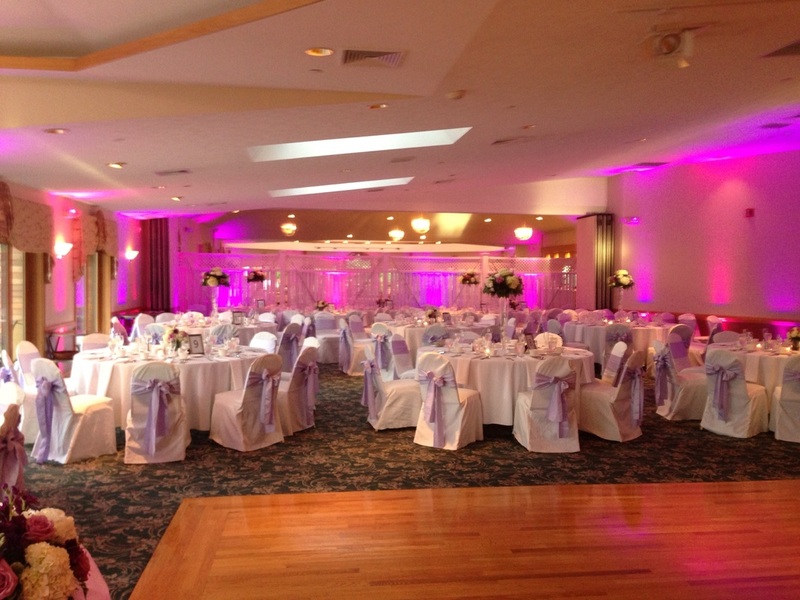 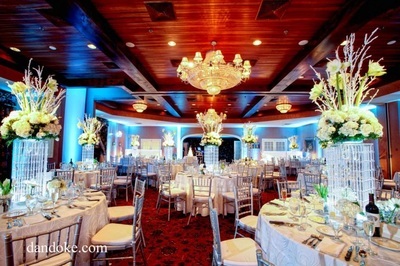 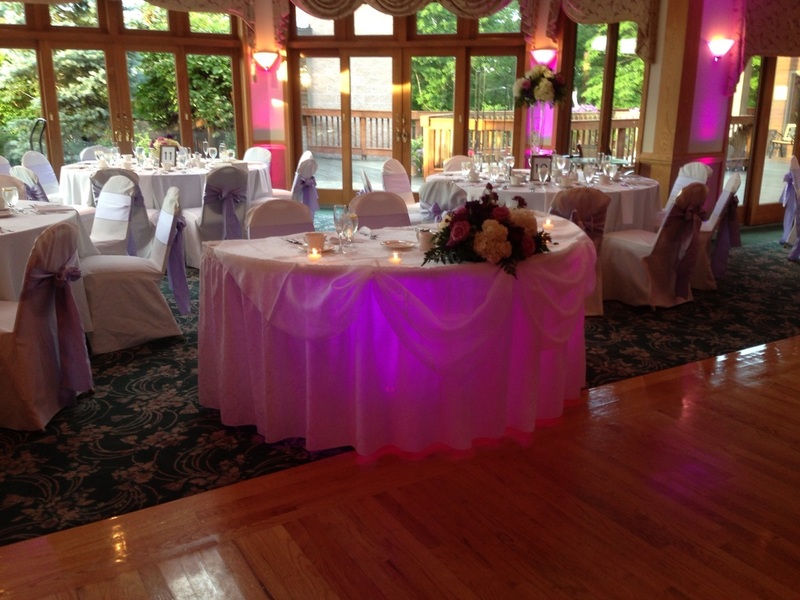 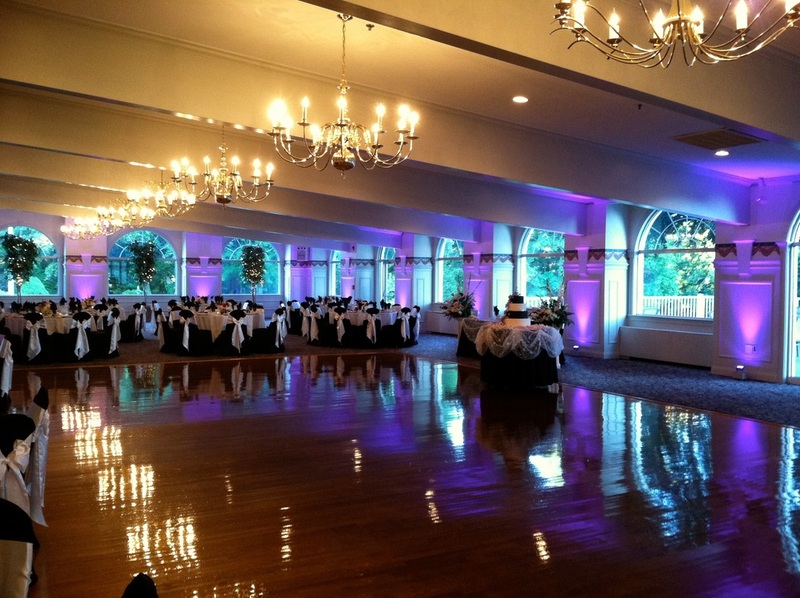 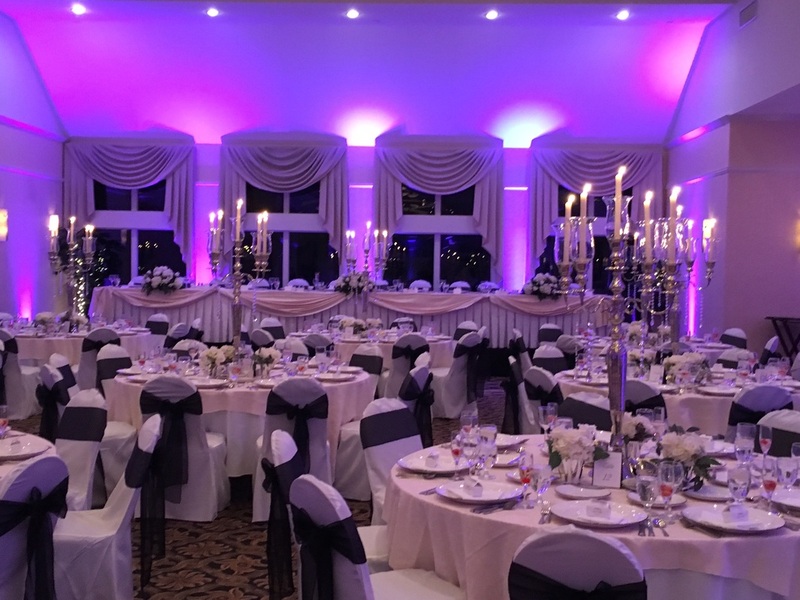 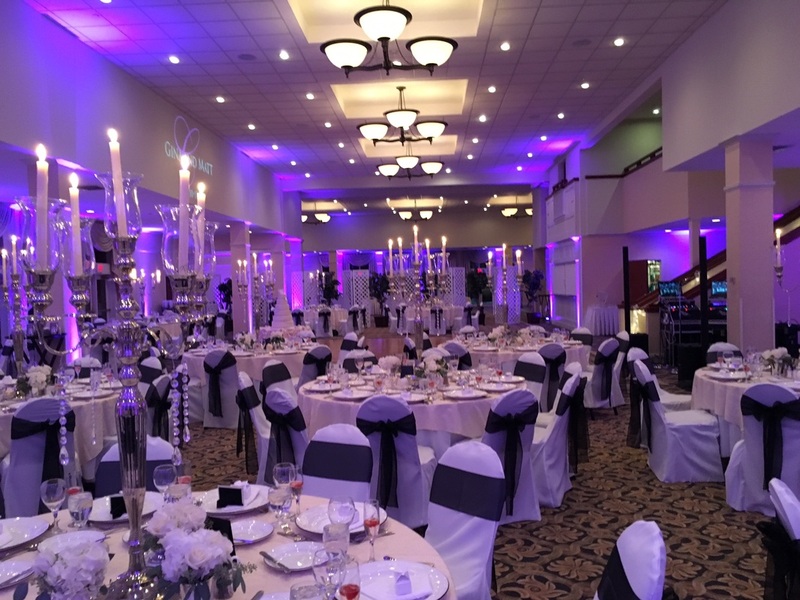 Alternatively, you may decide that you'd like the ambiance to change along with the different stages of your reception: cocktail hour in loungy blue or purple, dinner in soft pinks and then multiple bright changing colors while people are dancing. 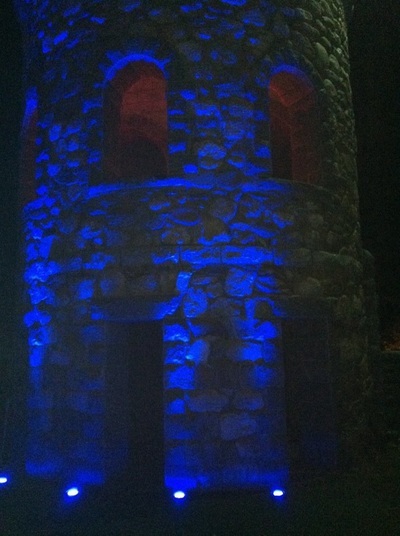 Let your imagination be your guide. 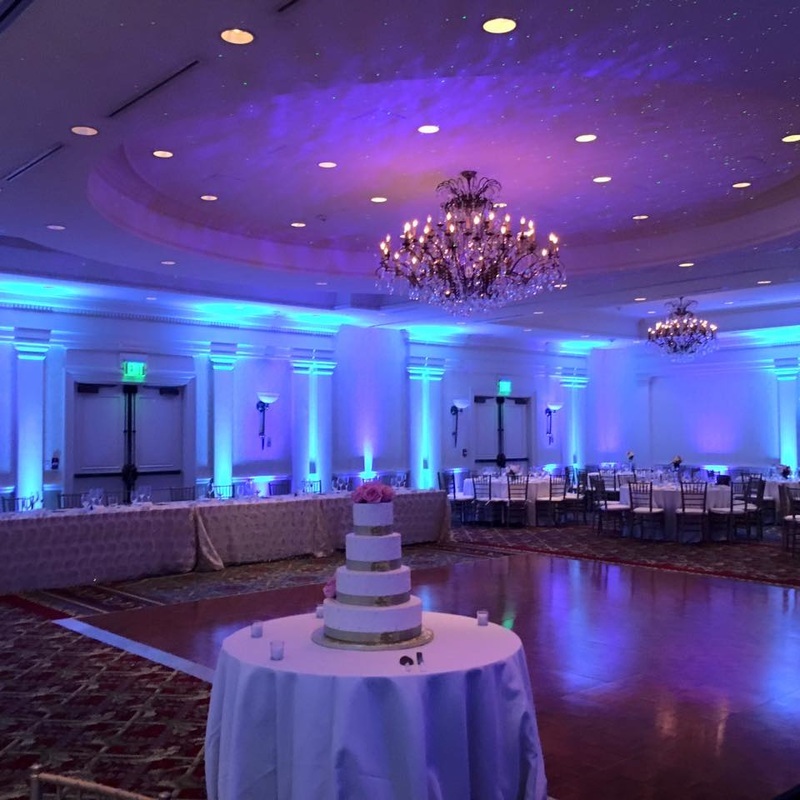 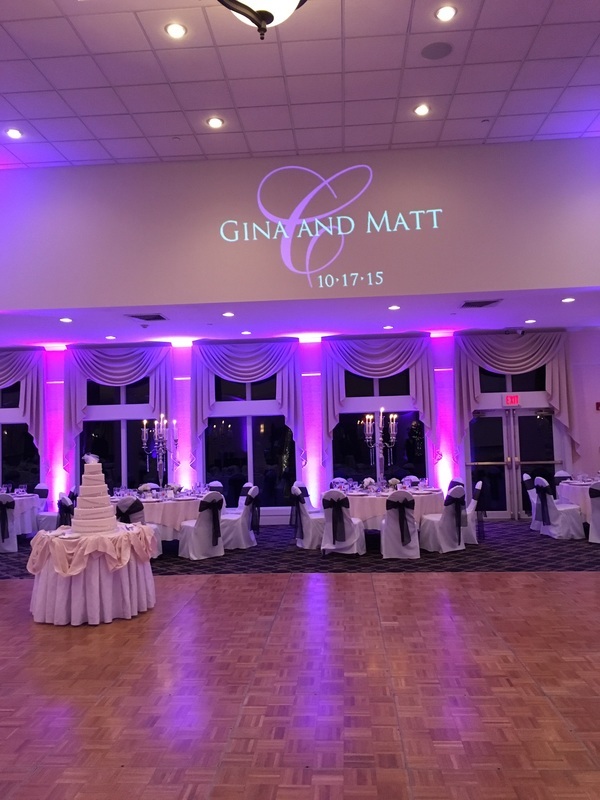 Your DJ can also work with your photographer to use uplighting to enhance the architecture of your venue for incredible, one of a kind rememberances that you'll want to display for all to see. Regardless of how you choose to use the Uplighting, you will find that it will provide a beautiful enhancement to your day. 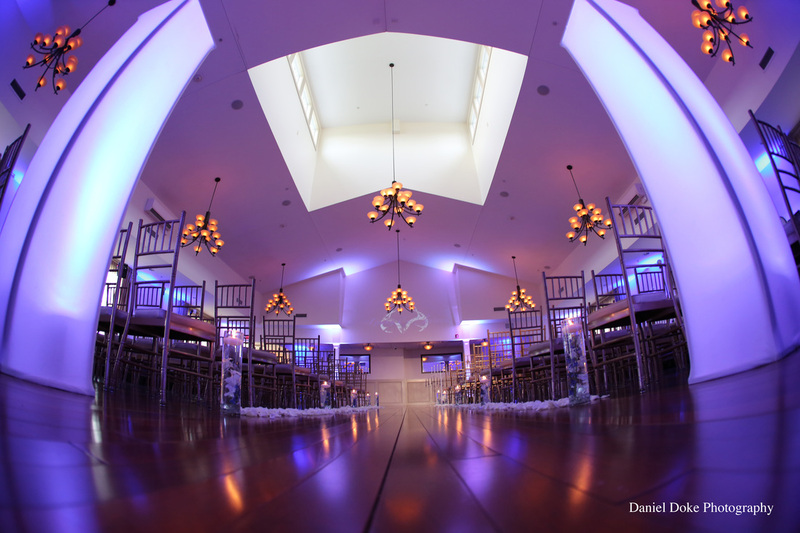 For more information, give us a call or shoot us an email. We look forward to the opportunity of working with you.